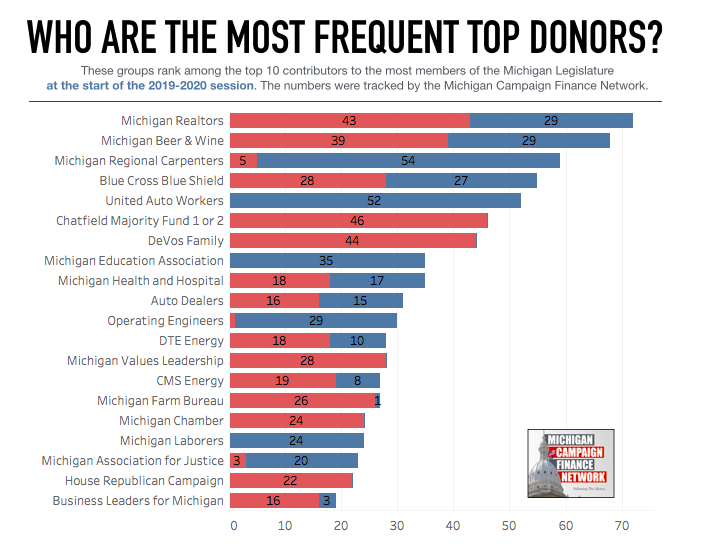 Which Groups Rank Among The Top Donors To The Most State Lawmakers? 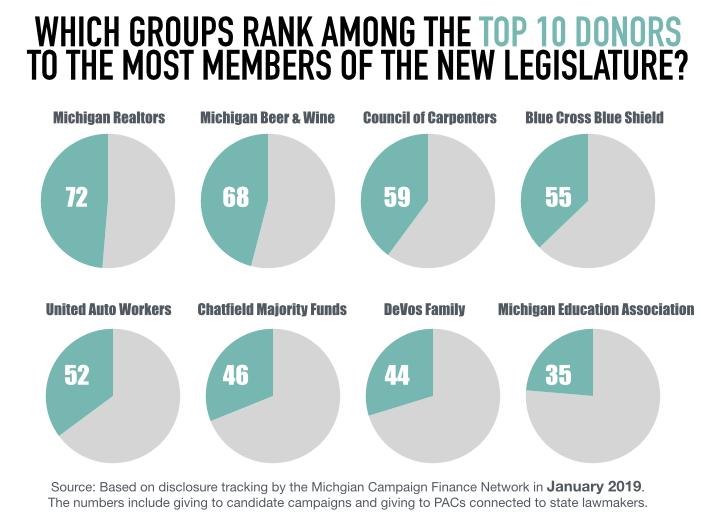 The Auto Dealers of Michigan PAC also contributes to candidates across party lines. In 2016, MCFN found that the Auto Dealers PAC had contributed to all but two of the members of the Legislature serving at that time.